A leading group of doctors, nurses and charity bosses warn today that the NHS is at “breaking point” and that its “founding principles” are now at stake. In an exclusive letter to the Independent, the coalition of healthcare experts say that the NHS “has just been through the longest, and most damaging budget squeeze in its history”. However historic annual increases in the health budget, designed to keep pace with a growing and ageing population, have been severely reduced. The NHS, which has been serving the country for 66 years, was recently rated as the most effective and most efficient healthcare system in the developed world, outperforming 10 of the world’s richest countries, despite the UK spending only 9.6 per cent of GDP on health – much less than most of those countries. To cope with the coalition’s deficit reduction strategy, the NHS has already had to introduce a pay freeze, cut management costs and the money hospitals receive for carrying out treatments has been reduced. The amount of work NHS hospitals, GPs and community carers have to do will cost more than its £113bn budget. 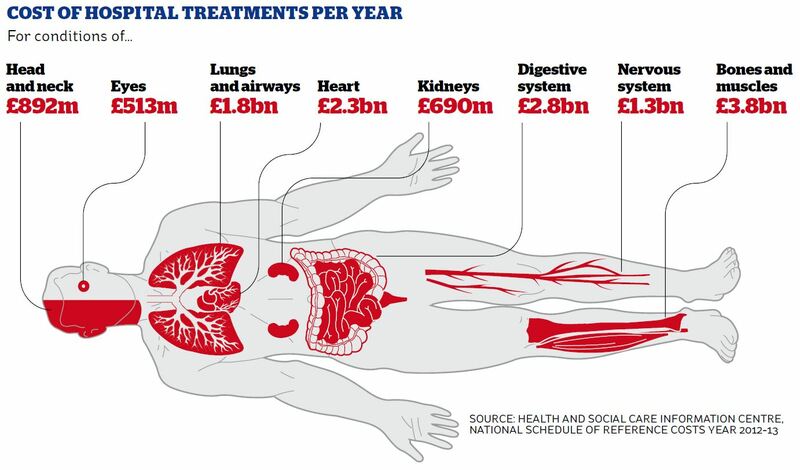 But based on current trends, the NHS in England will run out of money this year or next. The standards expected of the NHS are now higher than ever, but experts fear there is nothing else left to cut and worry that a slip in healthcare quality is the only place where savings could be found – something which they are vehemently opposed to. With an ageing population come diseases that predominantly affect the elderly. Obesity rates, diabetes and other related illnesses have increased and the number of admissions to hospitals has risen from 11.4 million a decade ago to 15.1 million in 2012/13. This entry was posted in Uncategorized and tagged Charlie Cooper, GL-W, Greg Lance-Watkins, Greg_L-W, NHS Budget, NHS Funding Crisis, NHS Spend. Bookmark the permalink.